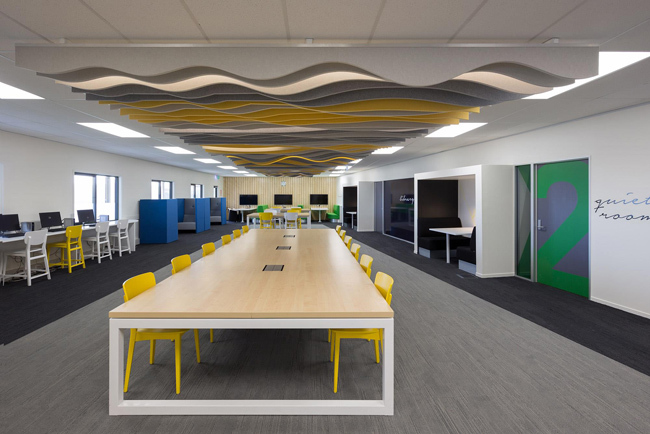 Research not only supports the theory that teaching and learning are acoustically demanding activities, it also proves that poor acoustics in classrooms can have a massively detrimental effect on the children that are learning in these spaces. In severe cases, students cannot hear up to 70% of the consonants spoken by a teacher – making it almost impossible to understand and concentrate on what is being taught. Since the introduction of the UK’s Building Bulletin 93 regulations in 2003, any new schools built have to comply with strict regulations ensuring that sound levels don’t exceed certain limits, depending on the use of the room. The regulations are also a good framework for older school buildings with acoustic problems. It is not just noise generate by students that can hinder concentration. 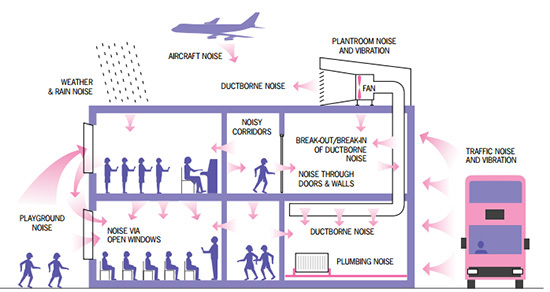 Sound absorption in classrooms protects from internal noise, while providing insulation to protect from outside noise. Adherence to BB93 Regulations is mandatory in the design of new school spaces. 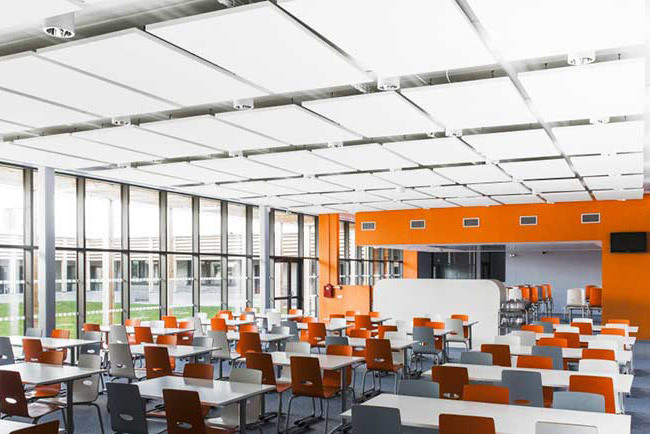 BB93 was introduced in 2003 to ensure acceptable sound levels in schools. Communication is an imperative part of teaching. Children must be able to hear and understand the words that are being spoken by a teacher. This means good acoustics are important to ensure that speech is clear and easy to understand. Too much noise in a room makes it difficult to concentrate. 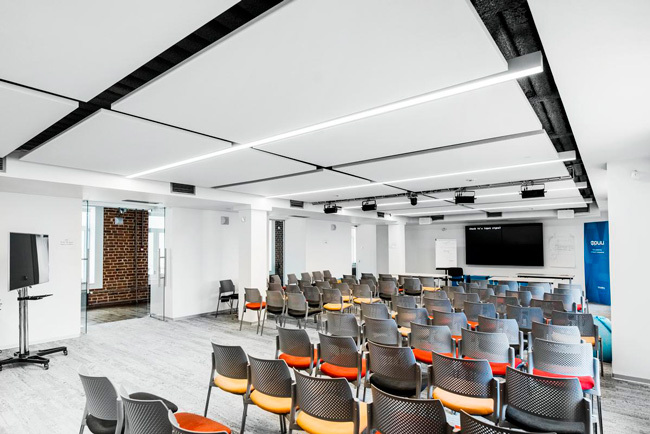 Acoustic materials can absorb noise within a room and block sound externally, making spaces acoustically comfortable and allowing for increased concentration.